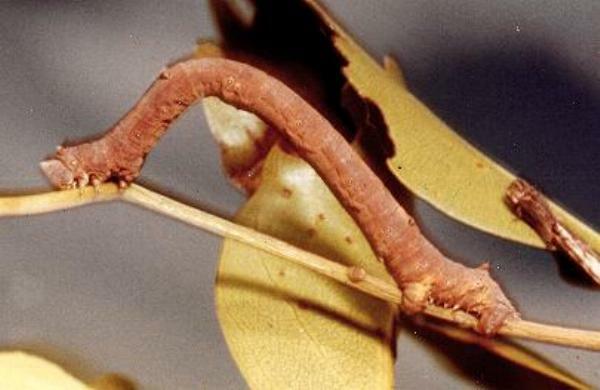 These Caterpillars are brown loopers with a blunt pair of horns on the tail, The males have a black and white mark about halfway along on each side, and the females are plain brown. 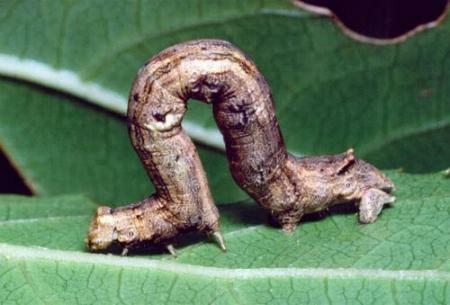 The caterpillars rest characteristically sitting on their last pairs of legs, with their other prolegs folded into the body. This makes the caterpillar look like a twig, unless it happens to be standing on the edge of a leaf ! If harassed, early instars drop down on a silken thread until danger passes, then they laboriously climb back up it. Silky Oak ( Grevillea robusta, PROTEACEAE ). They grow to a length of about 4 cms. They have been found to burrow down about 2 cms. into the soil to pupate. The adult is a variable brownish fawn colour, with wavy dark lines on the wings. Like most Ectropis species, it has a blurry dark blotch near the middle of each forewing, and dark marks on the first abdominal segment. 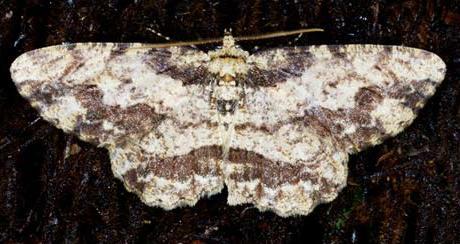 which align with wavy dark lines on the hindwings when the moth is at rest. 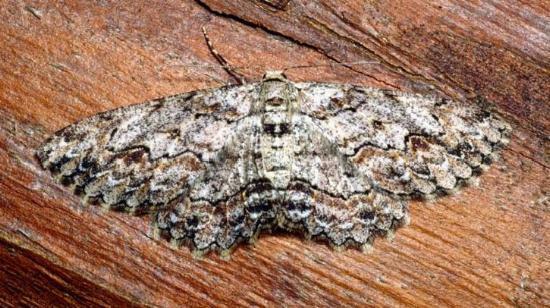 Like most geometrids, the moth rests with wings outspread. The males and females have slightly different patterns. 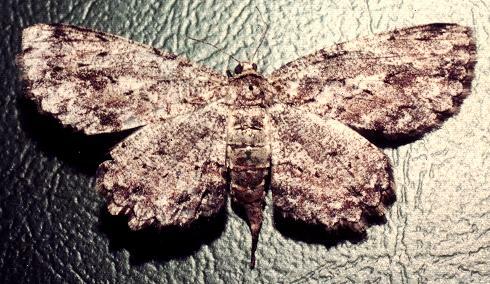 The female moth has a wingspan of about 4 cms. The male has only a span of 3 cms. The antennae are thread-like on the female, but the male has very small pectinations giving the antennae a thickened appearance. The male Ectropis bispinaria moths have shorter pectinations than those of Ectropis excursaria, enabling the latter to be identified if the moth has the pectinations extended. The adults are otherwise similar to those of Ectropis excursaria, except Ectropis bispinaria has a smoothly curved dark submarmarginal line on each hindwing extending from hind margin to costa. Flying Colours, New South Wales University Press, Sydney 1992, p. 44. Volume 9, Part 9 (1857), pp. 266-267, No. 414. Entomological Society of Victoria, 2016, pp. 18-19, 30-31.